Reform and Discourse! Following the Second Wizarding War, the magical world has undergone extreme changes that have stirred up significant controversy. Even those who fought against evil have now been called forth to question their old world views. Is it wise to bridge the gaps of status quo, which were created under the wisdom of their forefathers, or have they caused more harm than good as tensions rise? The 2018-2019 school year has begun! The seeds of tension between wizard and being begin to sprout. LIGHTNING STRIKES IS SHUTTING DOWN! SLYTHERIN WINS!!!! Check out the Hogwarts Herald to get the scoop on the game. "Slytherin Wins 510-380"
Check out the latest Witch Weekly Exclusive starring our very own Peter Barrie! On a more serious note, more has been uncovered around the death of our beloved Professor. A suspect is revealed! Check out both articles here. Lover or Foe? GRYFFINDOR WINS!!!! Check out the Hogwarts Herald to get the scoop on the game. "Gryffindor Wins 210-180"
Lightning Strikes Edition: A history and reference guide to your role-play experience! 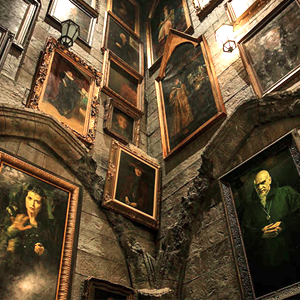 In-depth profiling of every individual in the wizarding community. Behind the scenes and development of Lightning Strikes! Revisit your memories in finished threads! Guest friendly proboards and jcink, or like sites, that do not alphabetize their advertisements welcomed! All others, we still invite to check out affiliating with us! You may post your ad once a month and we will delete your old ad.